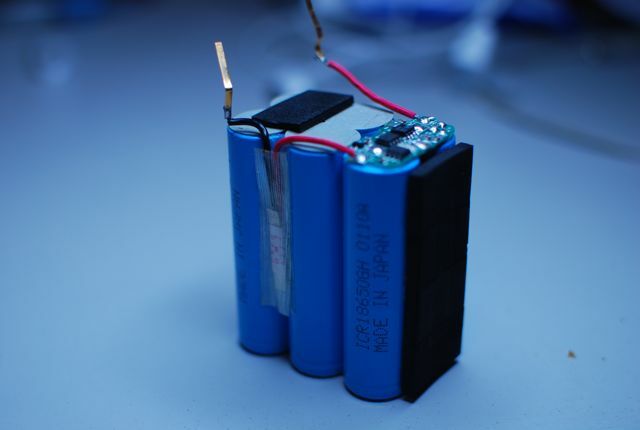 It’s a 6 cell Li-ion battery pack that outputs 7.2V (6600mAh!) 2S3P configuration. The cells are unbranded 18650 cells, however what makes this pack special is a small protection PCB and self-reseting fuse that prevents the battery from turning into a flaming ball of lithium. 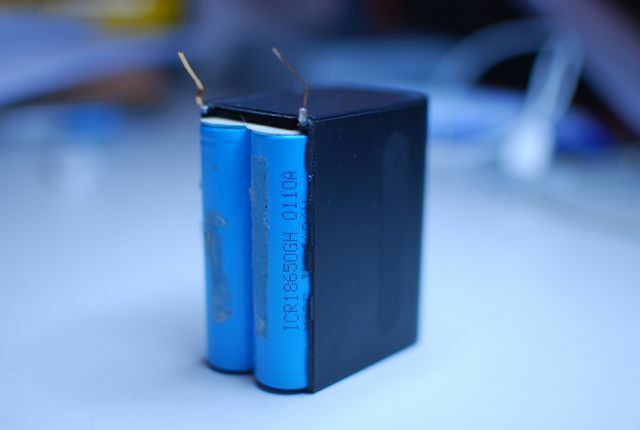 Li-ion cells are very sensitive to overcharging and overdrawing. Hobbyists have gotten 3rd-degree burns and set their houses on fire from improper use of Li-ion batteries. So now that I’ve got this dangerous awesome battery pack I need some application for it. I’ve thought about hacking up an old cordless drill and swapping the NiCd cells for these, or adding them to a small battery powered toy just for fun. However I am leaning towards a more practical use. I want to use them as the power source for an insane bike light. That’s it for now. The next step is to pick out a driver and start creating drawings for the housing.